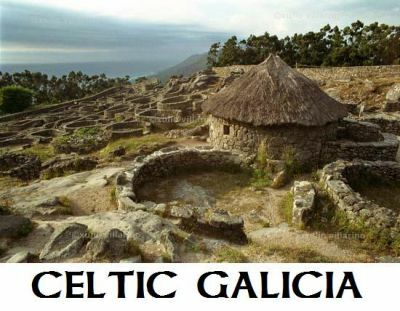 The Gallaic Revival Movement is sponsored by the Gallaic Celtic League in Galicia, Spain. The Atebivota Dictionary Project is based on the reconstruction of the Gallaic language once spoken by the ancient Gallaeci in Galicia, Spain circa 600BC to 200 A.D. The members of the Gallaic Revival Movement believe in the theory that the Gaels (Gallaeci) left the shores of ancient Gallaecia to establish themselves in Hibernia circa 500 B.C. Their Gallaic language eventually evolved into written Primitive Irish circa 400 A.D. and Primitive Irish developed into Old Irish circa 600 A.D. Gallaic, Goidelic and Celtiberian are extinct Q-Celtic languages. Our project is to reverse the Gallaic stages of evolution from Old Irish to Primitive Celtic upon the utilization of the exclusive primitive Q-Celtic word entries acquired from the Old Celtic Dictionary to achieve the reconstruction of our Gallaic vocabulary. The grammar application will certainly be our most strenuous assignment. The Atebivota Dictionary will be a trilingual Galician/Old Irish/Gallaic dictionary. The project is currently under reconstruction. We are not accepted, nor recognized by many Celtic organizations and societies as a Celtic Nation, due to the lost of our Q-Celtic language. The comprehension of our Gallaic tongue, even though reconstructed, will complete our identity and acceptance as modern Galician Celts. Our Manx brothers had an arduous task in reviving their Manx Gaelic language since the death of Ned Maddrell in 1974, their last native speaker. Unfortunately, the corrupt development of the Manx language by John Phillips of Man was based on English and Welsh orthography. John Phillips of Man translated the Book of Common Prayer into Manx. Perhaps in the near future a revival group can finally introduce the proper Classical Gaelic orthography in the reformation of the original Manx language. The Lusitanian language (Lusitanian: Leukantu) is considered by some authorities as an archaic P-Celtic language. The Acel-Trebopala group has done a magnificent task in the reconstruction of their Lusitanian language.